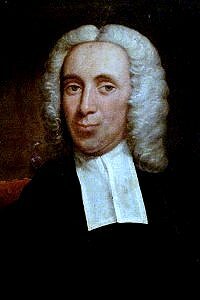 Isaac Watts, circa 1688. In a lengthy discussion with his father, Watts argued that singing only the Psalms in church made them miss much important New Testament truth. Once his congregation was convinced of what Isaac was saying, he began turning out a new hymn a week. But this one is the very first, making the words Prepare new honors for His name, and songs before unknown especially meaningful. This hymn also reveals Watts’ amazing breadth of biblical knowledge (he was only a teenager at the time); there are allusions to many Scripture passages. Martyrdom Hugh Wilson, 1800; arranged by Ralph E. Hudson, circa 1885 (🔊 pdf nwc).